Faculty members and students alike are concerned with the seeming disregard many people have concerning recycling and littering on campus. Students at the university are equally concerned, including Samir Koliq, an RA in Weldin Hall. Koliq is also worried about the amount of recycling done on campus. Though many people may not be aware of it, URI does make an effort towards recycling and creating a sustainable environment. 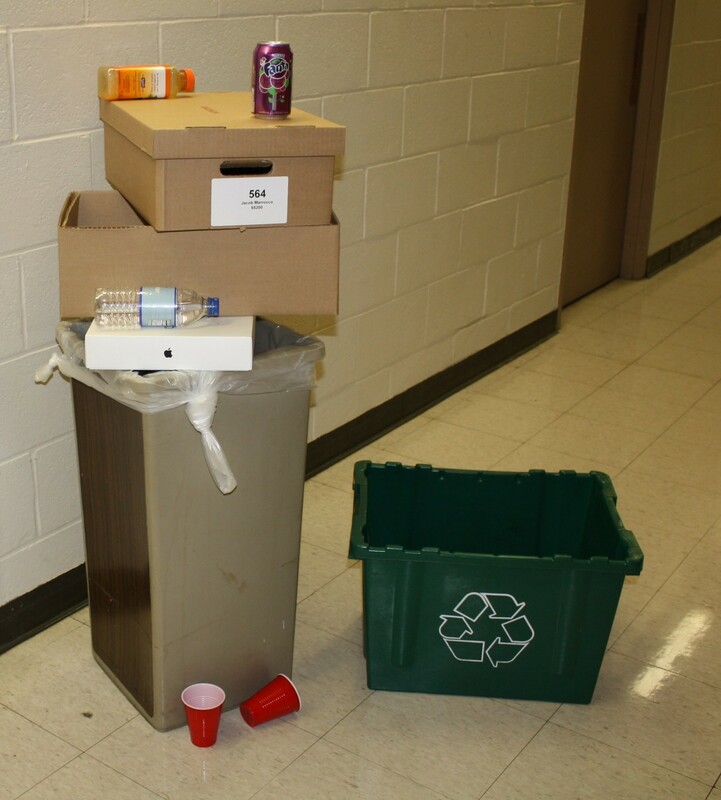 Every dorm room is equipped with both a trash can and a recycling bin to easily separate trash from recyclables and almost all classrooms and offices around campus are equipped with trash and recycling bins. On campus there are nearly 128 trash bins, most of which have a recycling bin as a companion. According to URI’s Recycling and Solid Waste Coordinator Mary Brennan, about 40 percent of the overall trash and recycling collected throughout the campus is able to be recycled. 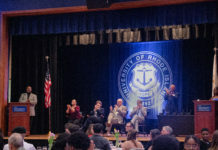 Since the university is such a large campus, URI does not process the trash and recycling in a separate town and is, in all respect, a town itself. This means that they can recycle anything that any other town would. The same anonymous faculty member said they are still frustrated with the lack of recycling actually being done, and are especially concerned with the recycling and littering around campus. 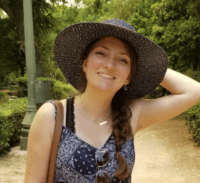 Recently, Brennan and her co-workers have surveyed the Carothers Library on campus and found a disparity between the amount of recycling and trash bins. This is something that Brennan plans on fixing in the future to help increase the spread of recycling, especially within the library. Donna Hayden, administrative assistant in the Writing and Rhetoric Department, is another faculty member who is extremely passionate towards recycling. “I’m instrumental in recycling within my office [in addition to] the production lab and all the other offices [in the department whom] are very committed to recycling as well,” Hayden said. She has also gone above and beyond what the university supplies, and has initiated a compost bucket located in one of the bathrooms in her department. For the last few years, Hayden and the Writing and Rhetoric department have been a part of the green initiative here on campus—a set of initiatives that were designed in order to turn the university into a sustainable community, as well as to reduce the overall environmental impact the university has and to educate its students so that they graduate with the skills necessary to continue the green initiatives around the world. Hayden said she is proud of the custodian of the building and how “she sees that this department is doing its fair share when she goes into the offices and sees the separate containers used correctly.” This same custodian has also mentioned to Hayden that other departments are doing very poorly when it comes to recycling and keeping trash separated. “It infuriates you [when people do not recycle] because you want everyone to be doing their part, especially since it’s very easy to partake in,” Hayden said. As far as the university goes, it would appear that much more effort in terms of its recycling could be made. Hayden believes that things on campus can be improved to assist in its recycling. “I feel like the bins on campus [need to be made] more recognizable,” Hayden said. “I feel like they just need to do a better job to have it be more visible.” In her opinion, what the university needs is more “repetition” around campus. “In every building there should be a sign informing everyone that the university takes great pride in having [the Green Initiative]” stresses Hayden.